This level has medium difficulty. 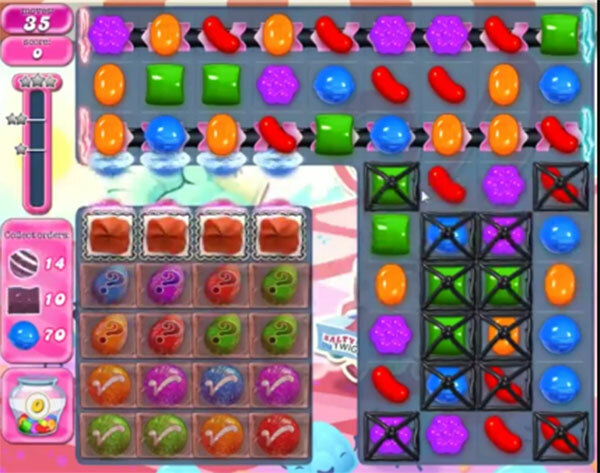 For this level try to break the grills that are in right part of the board or try to make striped candy. Combine striped candy with colorbomb or wrapped candy to break the jellies and surprise candies that are in left bottom part of the board. Try to break the blue candies or make wrapped candy and break it to complete the wrapped candy and blue candy orders.